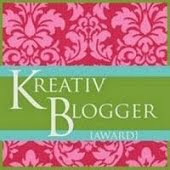 Amanda McIntyre: My first ever blog award! Sigh, I love your favorite things! Even your list writing sparks a note inside me. You have such a beautiful way with words :D.
I love my early morning coffee, too. And the Great Lakes. You didn't get to see Lake Ontario did you? That one is so large, but if you look closely you can see the skyline of Toronto off in the distance! But otherwise it looks like the ocean! This Fall I am determined to drive down to Letchworth State Park to see the Fall foliage. We've been twice this summer, but I really want to see all the color. I have heard for years how absolutely amazing it is! I loved reading your list, Amanda! No. 7 really struck me as sooo very true. You could be having such a bad day, and all it takes is one person to do something--even small--to make everything seem so much better. I dont think I did get to see Ontario from that vantage point, but Lake Superior is the same way! Its so utterly vast and beautiful! I hope to be able to catch some fall colors this year as well! we'll have to post some pics on our blogs! That sounds great! I love outdoor photos. I did post some pictures of one of our day trips to Letchworth. It'll be nice to compare the scenery from season to season. I'll look forward to your pictures :D.
Oh Amanda, Congrats on your award my dear friend. I absolutely love your fave 7! Family, friends, love and random acts of kindness is what life is all about!!!! I love the fall season, but my life long dream trip of a lifetime is traveling the east coast for the turning of the leaves!!! Thank you for sharing!!! It is nice to get a peek into the person! I hope you have a great night and a wonderful tomorrow! We are truly honored to receive this award.